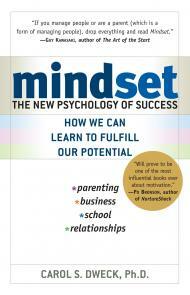 Next Post Daniel Pink on Drive, The Surprising Truth About What Motivates Us. Interesting blog post, thanks Ikhide. One of the problems with books like Dweck’s is that they do go on about the same point over and over again, which may be good for reinforcing the point, but it doesn’t serve the need for those who want to learn more around the subject. I’m sure that you, like your blog readers, would have some interest in a book I co-wrote, called Psychology of Success – Practical Guide. It covers 26 principles, ground in science, that successful people have done to identify success, take the right steps to achieve it, and overcome obstacles along the way. The feedback we’ve had has been fantastic, so just wanted to share that with you.